Yu Xiaolan's comments for her hearing-impaired students, made using comic pictures, idioms and ancient poems, recently went viral on China's social media. 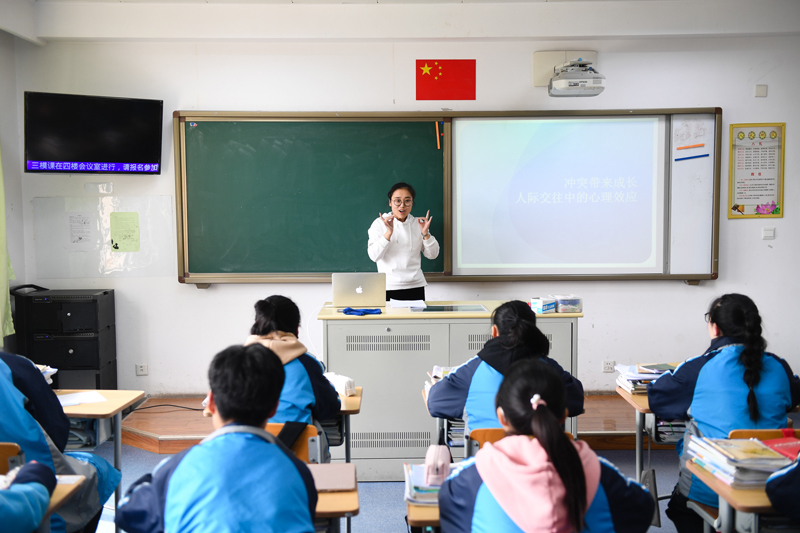 Made for students at Nanjing School for the Deaf, where she has been teaching for 17 years, Yu said her dedication to stay at the school was solidified by the complete silence that overwhelmed her the first time she visited the school for a job interview. "I saw students running and playing on the ground like normal hearing youngsters, but the surroundings were quiet," Yu said. The silent campus has hit the softest part of her heart, leading her to learn sign language and innovative ways of communication while devoting her love and patience to those hearing-impaired students. "Students have their own psychological line of defense, but once they accept you, they will give their heart and soul to you," Yu said. "I hope I can walk into every students' heart and help them to grow and adapt to social life in the future."